Driving a luxury sports car should be an enjoyable experience that allows you to feel highly accommodated the moment you strap yourself into the car. The 2019 Porsche 911 and the Carerra are top-selling models that are favored among car enthusiasts. Here are a few comparisons between both vehicles when making your selection. as ranked the top luxury sports car in the industry, the 2019 Porsche 911 stands out in its class for its terrific handling and powerful engines that are available. It continues to live up to its reputation and heritage due to its spirited handling and excellent fuel economy estimates. The vehicle comes standard with a twin-turbocharged 3.0-liter six-cylinder engine that delivers 370 horsepower. Those who want to make a great impression on the road can upgrade to the 3.8-liter six-cylinder engine, which produces 540 horsepower and is paired with a seven-speed dual-clutch automatic transmission. Rear-wheel-drive comes standard, and the vehicle offers an adaptive suspension system that causes it to feel like it’s gliding on different types of surfaces. The 2019 Porsche Carrera offers excellent performance and handling with six different engine choices that are available. The 4.0-liter flat-six – six-speed manual or seven-speed dual-clutch automatic engines are sporty and have plenty of power. The car generates up to 500 horsepower and has 339 lb-ft of torque. Unfortunately, the Manual transmission in the 911 GT3 is geared too long and can be inconvenient. The 2019 Porsche 911 boasts a sleek and sporty cabin that is stylish and features high-quality materials. The seats in the front are both supportive and spacious with plenty of standard features included in the car. Drivers can take advantage of a 7-inch touch screen, voice recognition, satellite radio, HD Radio, a Wi-Fi hot spot, navigation, two USB ports, Apple CarPlay, an eight-speaker sound system, Bluetooth, and a rearview camera. Interior features that are offered in the Porsche 911 include Apple CarPlay, a 7.0-inch touchscreen, two-zone climate control, a rearview camera, partial leather upholstery, a 4.6-inch multi-information display, and power steering plus. The dashboard looks more cluttered due to the number of buttons that are present, which causes the sports car to look less modern than the Carrera. Drivers are highly impressed with what the new Porsche 911 delivers, especially when it comes to power under the hood. The amount of cargo space that is provided in the front of the car is also appreciated with 5.1 cubic feet available. The rear seats can also be folded flat for additional cargo room that is provided. The classic exterior styling is also a selling point of the Porsche 911, which stays true to its classic design but continues to evolve with minor tweaks that are made to create a sleek and luxurious vehicle. The car sits low to the ground and shows off large wheels that allow consumers to feel confident in the driver’s seat. Owners of the new Carrera enjoy the well-built interior setting with the comfortable ride that is provided while racing at high speeds. The car doesn’t disappoint with its performance but comes with a high price that that seems inflated. The interior of the vehicle can also use additional legroom and outward visibility for added comfort in the cabin. 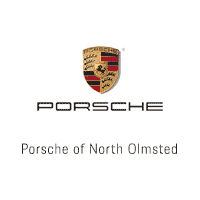 If you’re looking to own a new vehicle, contact or visit our dealership today to learn about how the 2019 Porsche 911 compares to the Carrera. You can schedule a test drive and also learn about our financing options that are available.